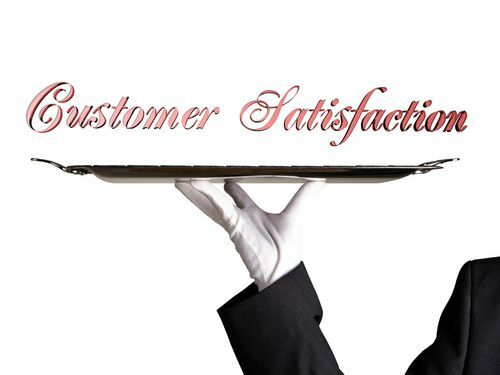 Serving your customers and keeping them satisfied is vital to the continued existence of your business. Yet maintaining happy customers and anticipating what they want seems as difficult as ever. Customer satisfaction doesn’t require magic or the ability to predict the future; it simply requires the ability to see your business and the benefits of your offerings from the perspective of your customers. Often, the biggest obstacle to understanding your customers is that you approach your business from your perspective, not theirs. Yes, you need to sell products and services, fulfill orders and keep the process moving, but the customer likely has little interest in that. The most effective customer satisfaction comes from knowing what your customers get from you and how your company can solve their problems. Understand customer options: From the customer’s perspective, your company is but one of many possible choices for products and services. Understand what your customer sees when looking at you in context with your competitors. Identify and articulate why your customer should choose you over any of the other companies in your industry. Use this insight to help position yourself as superior to your competitors and as the best option for your customers. Know how things work for your customer: The higher in management you are, the more removed from the day-to-day customer process you might be. Take the time to experience and understand your company’s activities from the customer’s perspective. Place an order or sample the service to see where the customer interaction process works best and where improvements could be made. Listen in on customer service calls. Assign perceptive employees to take part in the customer process from beginning to end and report back to you. Apply planning and forecasting techniques: Use strategic planning or other efficient techniques to help you develop scenarios that can show you what customers may want in the future. Look to extremely successful companies to see how their top managers anticipate customer needs and desires. Survey your customers: Implement an automatic program to survey your customers about their experience, satisfaction, and perception of your company and staff. What could you do right now to better see your company from your customers’ perspective? Pingback: 5 Important Pointers for Developing Client Surveys | Continuity Programs Inc.